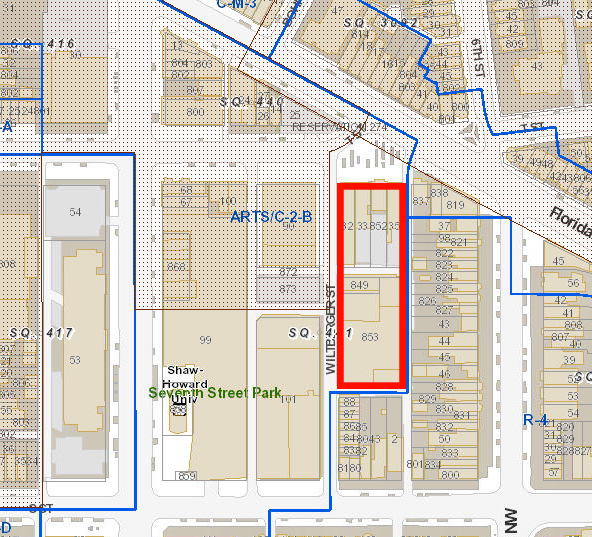 UrbanTurf reports that a 110-unit apartment building may be coming to T Street next to the Howard Theatre. 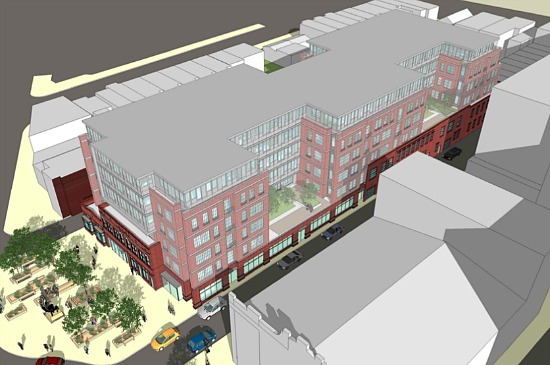 The project would replace the warehouse on Wiltberger Street and the stretch of buildings on T Street from Flava to Zenebech Restaurant (see photo below). The project would also include 8,000 square feet of retail and 50 parking spaces. According to UrbanTurf, the project developer plans to build the project matter-of-right, meaning the project will not require any historic design review and will not require zoning relief for things like height, rear yards, parking, etc. The map below shows the zoning context of the project site. maximum height of 65 feet. 1 parking space for every 3 housing units + 1 parking space for every 750 sq. ft. of retail over 3,000 sq. ft.
As long as the project stays within these constraints, the developer is entitled to receive building permits. * This calculation applies to different floors of the building based on the floor’s use. If you have ground-floor retail, you can cover 100% of the lot for that floor. If there are residential floors above that, each residential floor cannot cover more than 80% of the lot. ** This calculation is separated by use, meaning you can have 3.5 FAR of residential uses on top of 1.5 FAR of commercial uses. This would give the building a total of 5.0 FAR.